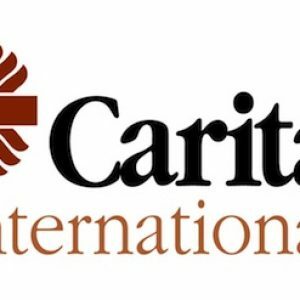 Caritas Iran was founded in 1981 by the Iranian Bishops’ Conference and at first its work was limited to small and occasional projects within the Christian Community. It was after the devastating earthquake in Bam in December 2003 that Caritas Iran began to be operational on a wider scale, thanks in large part to the support of Caritas Internationalis and the Caritas network, in a very special way to the support of Caritas Italy. Soon after the earthquake, an Emergency Response Support Team (ERST) was sent to Bam to evaluate the situation and lay the groundwork for building the confederations’ response. Beginning in January 2004, Caritas Iran started its own relief operation and reconstruction projects, which were implemented by Iranian volunteers and colleagues from the international network and from Caritas Italy. Caritas Iran’s head office is located in Tehran and has a staff of three persons. It also has an office in Bam which has six staff members under the direct supervision of Tehran office. Caritas Iran implements the projects in Bam with the support of some local staff. Since the beginning of its activity, Caritas Iran has been supported by Caritas Italy as a facilitating partner. A strong earthquake of 7.8 magnitude hit Pakistan at 15.44 hours (10.44 GMT ) today. The tremors were felt in Islamabad, Lahore, Abbottabad, Peshawar, Hyderabad, Quetta, Multan, Kohat, Hangu, Bannu, Dir and many other areas across Pakistan.